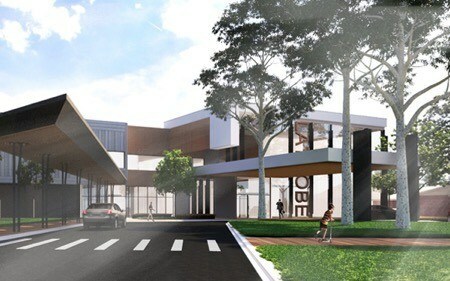 The Victorian Government’s commitment to expanding the Gippsland Region’s healthcare capacity will come to fruition in the second half of 2017, with the conclusion of Latrobe Regional Hospital’s $73 million redevelopment. The hospital’s expansion will apply to both their general and specialized healthcare facilities, and ESCO Industries is thrilled to have provided products that will allow the hospital to rank among the world’s best across both fields. The hospital will feature a new Emergency Department, with developments that will more than double the capacity of the existing facility. The ED expansion, coupled with a new 30 bed ward and 12 bed short stay unit, will be significant contributors to the 160 bed expansion. The flagship feature of the upgrade to specialised treatment will be a cardiac catheterisation laboratory, not only a new addition to the hospital, but the first to exist in the Gippsland region. Diagnoses and treatment of heart conditions will now be readily available to the communities of the LaTrobe Valley and Gippsland, as will endoscopy procedures with two specialist day rooms also introduced in the redevelopment. The scale and quality of the redevelopment has required facilities to match, and ESCO Industries has made significant contributions to each of the new and expanded departments. The hospital will feature approximately 300 ESCO Medical Services Panels (MSP’s) populated with their own medical electrical and medical gas components. The MSP’s were installed within a number of areas, along with ESCO’s Line Isolation Overload Monitors, Isolation Transformers, Body and Cardiac Protected Signage, Equipotential Junctions, and the full MediTek range of both standard and medical electrical switchgear and accessories. In order to achieve full compliance and best satisfy LaTrobe Regional Hospital’s stakeholders, the MSPs were custom-designed following consultation with the hospital developers and electrical contractors before the final product was approved for manufacture. The project is on track for completion in the coming months, and is guaranteed to ensure high standards of regional healthcare well into the future.